Keeping baby or juvenile water turtles is much more challenging than keeping land turtles because they are very active and more work to keep clean. First it requires an aquarium not a vivarium. 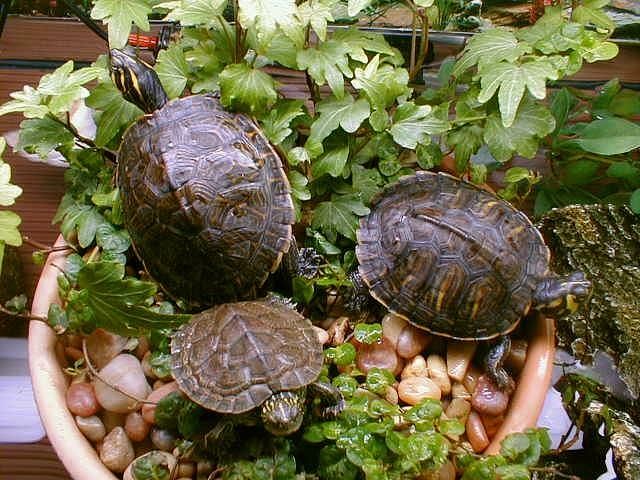 In a vivarium water turtles dig excessively and bury deeply. They appear to enjoy it, but we do not. 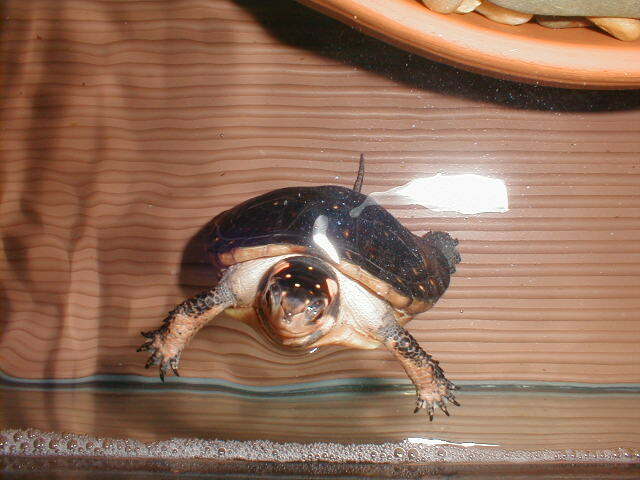 We mix species of turtles. 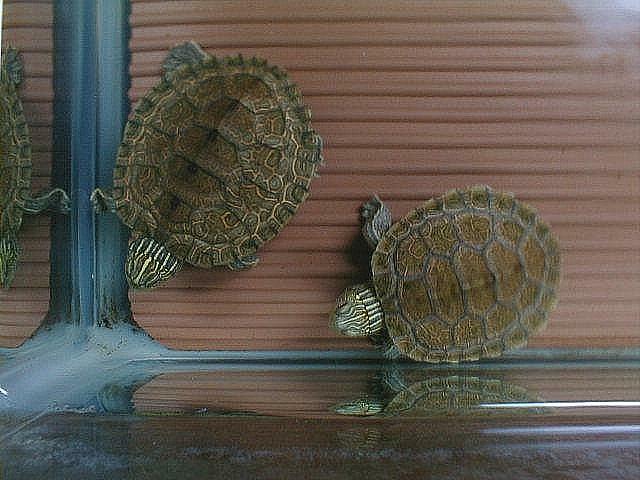 We first wrote that we separate turtles less than one year old from the larger turtles for the safety of the little ones. 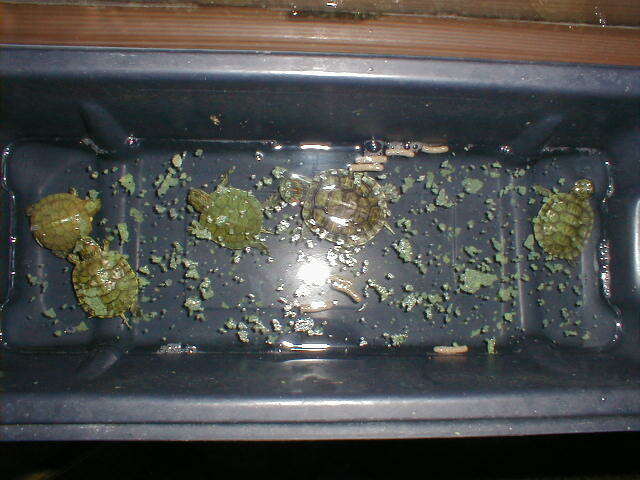 Since then we have placed new hatchlings with year old turtles with no problems. It is more a matter of the individual turtles involved. Some turtles will nip at each other occasionally. It is basically a question of what moves may be worth tasting. Now we try them together to see how they get along before deciding who is housed together. In these close quarters with juvenile turtles not yet driven by urges to mate, we see some interesting inter reaction between turtles of different species. It is interesting to watch them when they don't notice us watching. 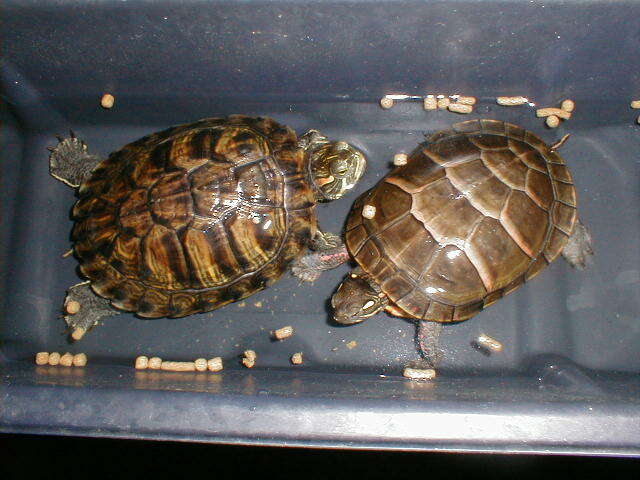 As turtles grow problems sometimes develop between turtles that have been together for a long time. 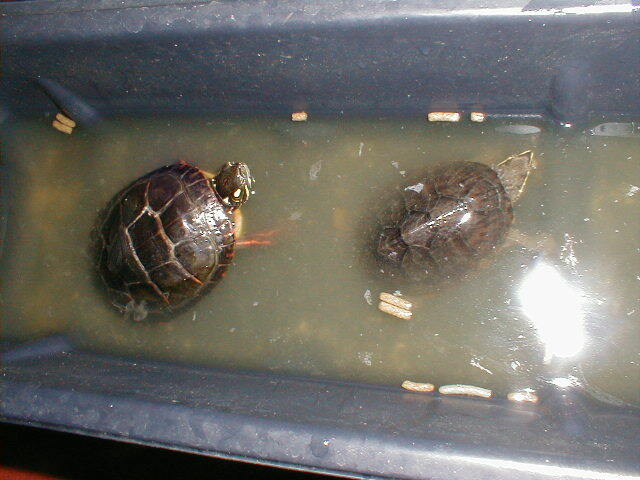 They may be siblings or turtles of different species. Wood turtles are known for being hard on each other. It may be simply that the small confines of an aquarium do not afford them the space they need to separate. For whatever reason they no longer get along, they must be separated. For cleanliness we never feed the water turtles in their aquarium. They are fed in a separate container with water skimmed from their aquarium with a plastic cup. Skimming helps to remove scum and floating dust not picked up by the filter. Using aquarium water provides water of the same temperature and facilitates changing some water in the aquarium daily. Clean makeup water is added to the aquarium. 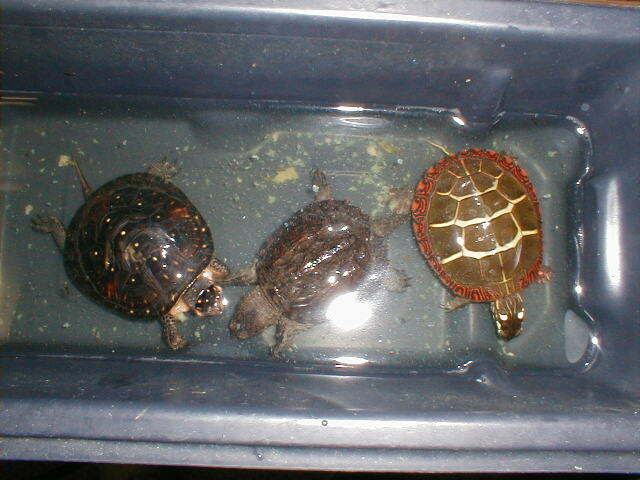 For feeding, we definitely separate the turtles into groups starting with the smallest turtles first in the clean water. Here size definitely matters. Established feeding groups that get along together while feeding are always fed together. We give them plenty of time. The largest turtles are fed last and are always more than ready to eat. We clean each turtle with a cloth towel before placing them back in the aquarium. The dirty water left in the feeding container (yuck) is discarded. We choose to keep the water depth at about 3 to 4 inches. That's plenty of water for small turtles and its easier to arrange basking spots. After Tour One you may be expecting to see pictures of a nicely planted aquarium next. Wrong! 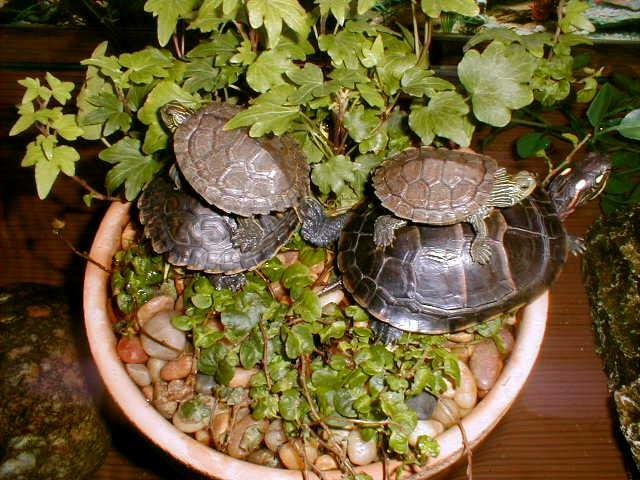 Water turtles eat water plants. What isn't eaten is torn apart. We do provide a planter. It provides a basking spot with some natural cover (we like it). We use a pot with no drain hole and lots of large pebbles on top of the soil. 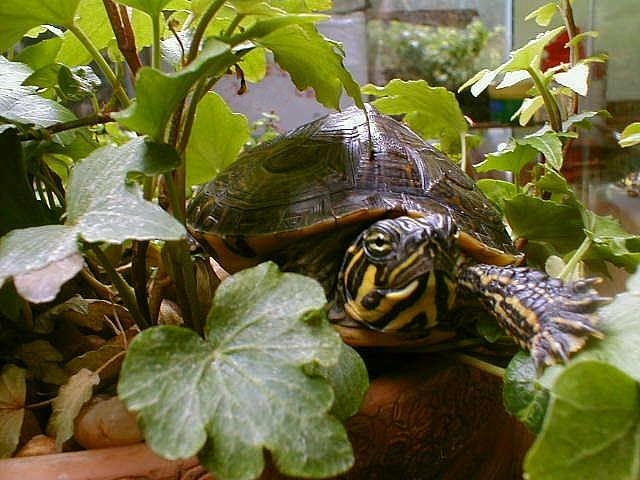 Any part of a plant hanging in the water will be nipped by the turtles and generally not do well so we prune plants at the waterline. Any plant used is considered temporary. We use inexpensive house plants such as ferns, ivy, or creeping fig that can tolerate low light and moist to wet soil. How long they last depends on how much wear and tear they get from the turtles. Did you notice the bottom of the aquarium in the pictures. 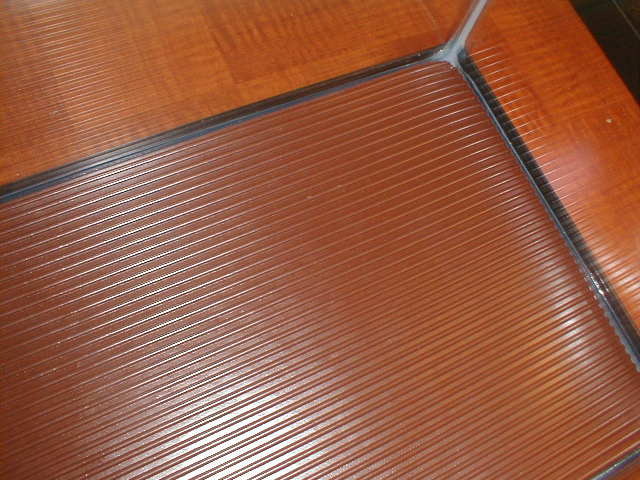 It is covered with a piece of ridged vinyl flooring runner. It does not collect dirt like gravel and it gives the turtles some traction. It looks much better than just the glass bottom and it protects the glass from scratches. 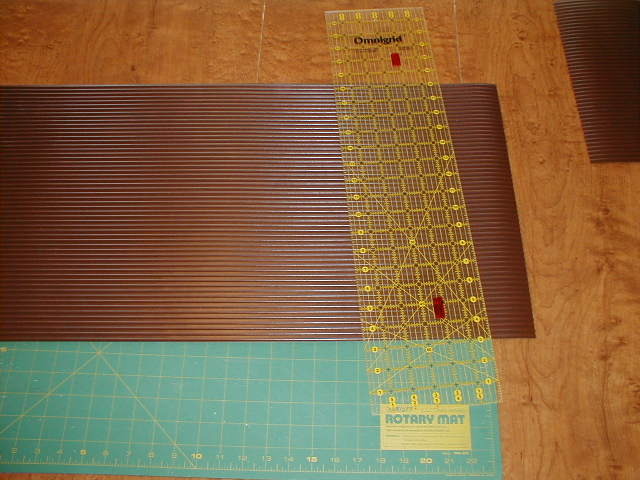 We cut the vinyl to fit tightly and hold it down with things like the planter. We use an aquarium heater to maintain the water at about 75 degrees F during the winter heating season. The turtles have more constant appetites when maintained about this temperature rather than in the 70 to 75 degrees F room temperature. 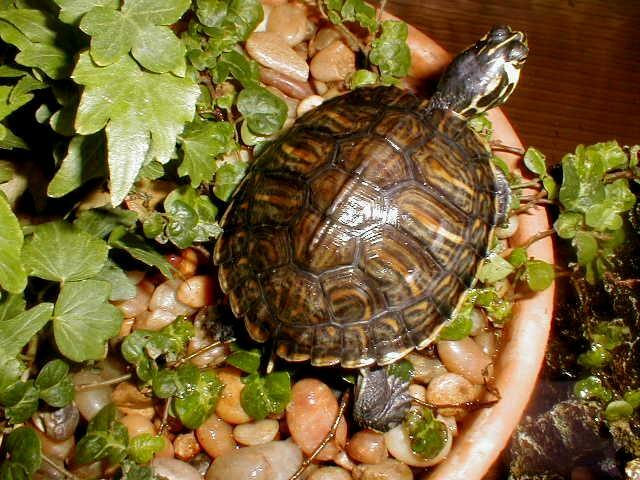 The turtles can be maintained at warmer temperatures, but it is not good to have water turtles breathing air that is much cooler than the water temperature. We use a small submergible pump/filter to clean and agitate the water. 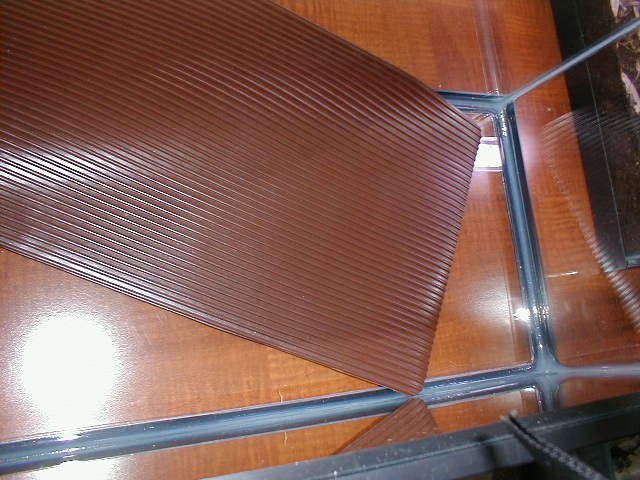 Our filter is designed to be mounted vertically in a corner. We turned it to a horizontal position to work in our shallow water and made some alterations to remount the suction cups. The filter is cleaned as needed. 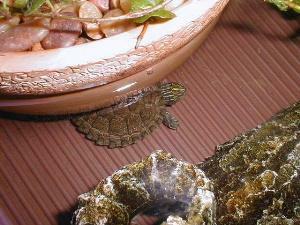 There are additives to treat turtle aquarium water to break down waste and kill bacteria. We do not use any additives. With our low water depth, we can change water easily when needed. We made a scoop out of a plastic bottle. With the scoop and a sponge we can change water quickly. But again we are not using all that much water. 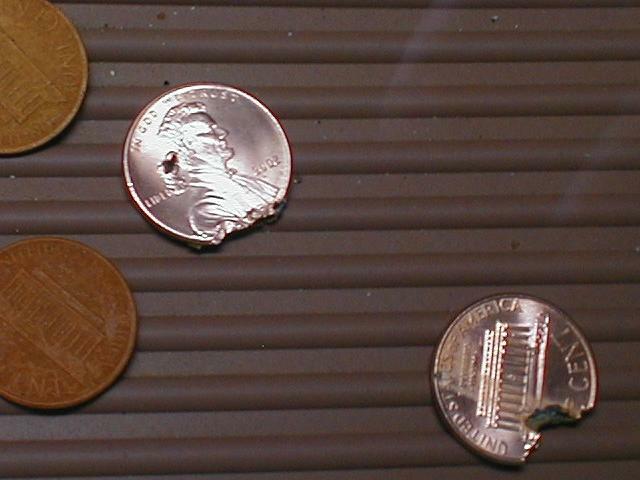 Algae can be controlled by placing several copper pennies in the water. The copper dissolves slowly and prevents the growth of algae. The copper is not toxic to the turtles. 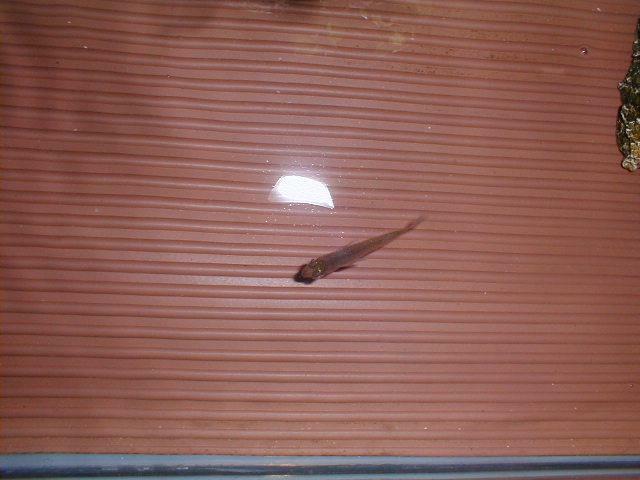 We have tried small fish in the aquarium to eat bits of food that may transfer to the aquarium on the turtles. However, we find that we eventually have to feed the fish. That defeats the purpose of the fish unless we also wish to provide fish for the turtles to eat. That is not a problem with snapping turtles, but some turtles make a mess eating fish especially goldfish. Fish are also that much more to care for when cleaning the aquarium. So we generally do not put fish in the aquarium. We are not fans of plastic aquarium ornaments, but we find the plastic logs to be ideal for basking on and hiding under. 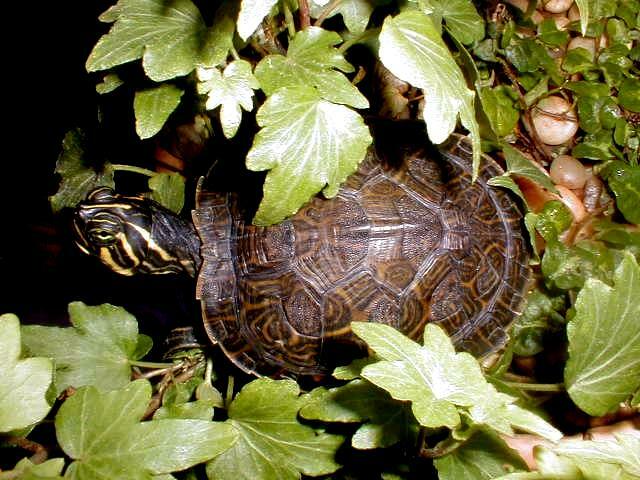 Some turtles like snapping turtles and stinkpots will hide under the logs most of the time. 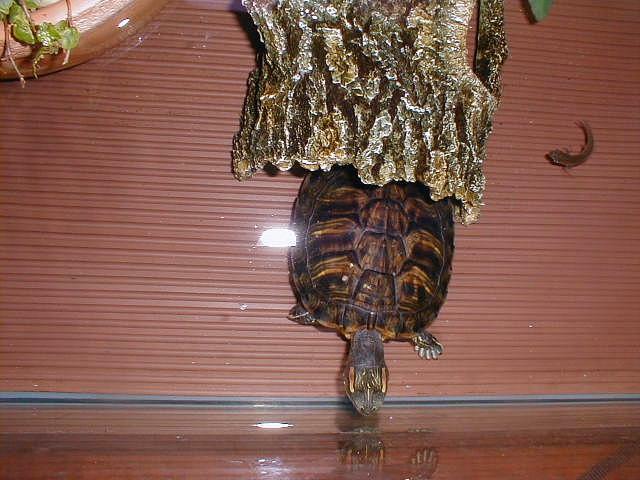 Other water turtles will make good use of the logs as well. We do not stack loose rocks in our aquariums for fear of the turtles knocking them down on themselves and being injured. In Tour Twelve - Many Uses for Concrete we show how to make safe rock formations such as basking rocks that fit in the corners of aquariums. When we do clean our aquariums, they always have calcium scale and spots on the glass from splash from the filters. This is a common problem with most aquariums especially when they are not filled to the top. We use CLR (Calcium Lime Rust Remover) to remove the scale. We use it sparingly on a paper towel and rinse with plenty of water. Then we dry the aquarium completely with a paper towel. We break our aquariums down for the summer when we move the turtles outside. We usually do a quick water change and cleaning two or three times over the winter season as needed. It depends on the number of turtles in the aquarium and how many times we break our rules of not feeding the turtles in the aquarium. This is usually a special treat like earthworms. 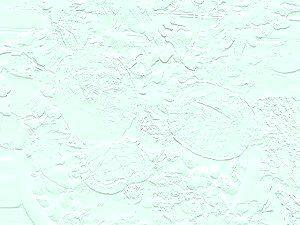 Once we decide a cleaning is needed in the near future we are more inclined to break our rules. There are more ideas for aquariums presented in other tours. The biggest challenge is simply keeping the aquariums clean. And the biggest source of dirt is food. 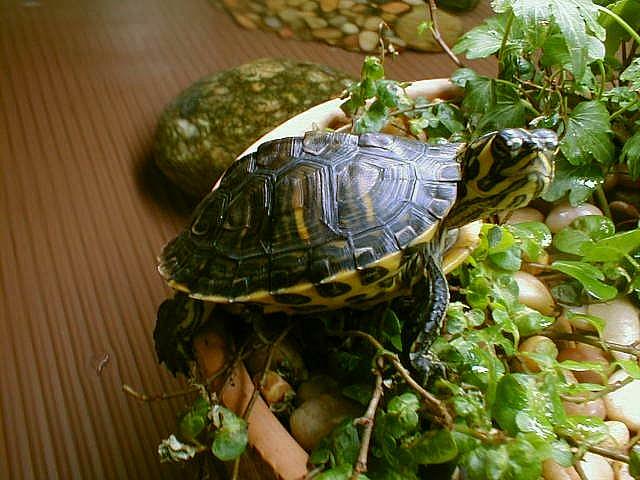 We have shared with you what we do and hope you get some good ideas for housing your turtles in aquariums. We hope you enjoyed our second behind-the-scenes tour.